For many children and young people, the school playground represents the only open, accessible space available to them on a regular basis that allows them to engage in physically challenging and socially developmental outdoor play. 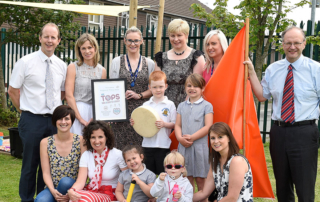 PlayBoard’s ‘Positive Playgrounds’ programme is focused on assisting schools to re-examine their approach to the use of playgrounds and to value them as important spaces within the school estate. 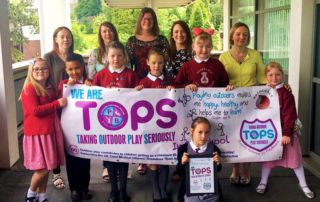 Through this 1 day training programme, schools are supported to develop strategies that encourage physical play and socially developmental play within the school grounds. 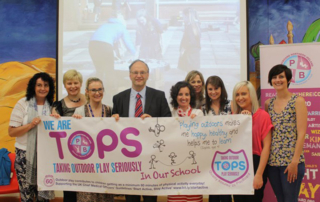 To date ‘Positive Playgrounds’ has been delivered within over two hundred and fifty primary schools across Northern Ireland giving children, teaching and non-teaching staff the opportunity to explore a wide range of issues relating to play including play theory, play types, playground policy, the playground environment and co-operative games. 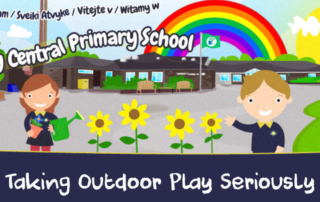 Through the ‘Positive Playgrounds’ programme schools are able to fully utilise the outdoor environment available to them in support of broadening active and social play, meeting children’s play needs and enhancing play-based curricular learning.